With summer right around the corner, you may be thinking of ways to get out of the house and pick up an activity you’ve never tried before. 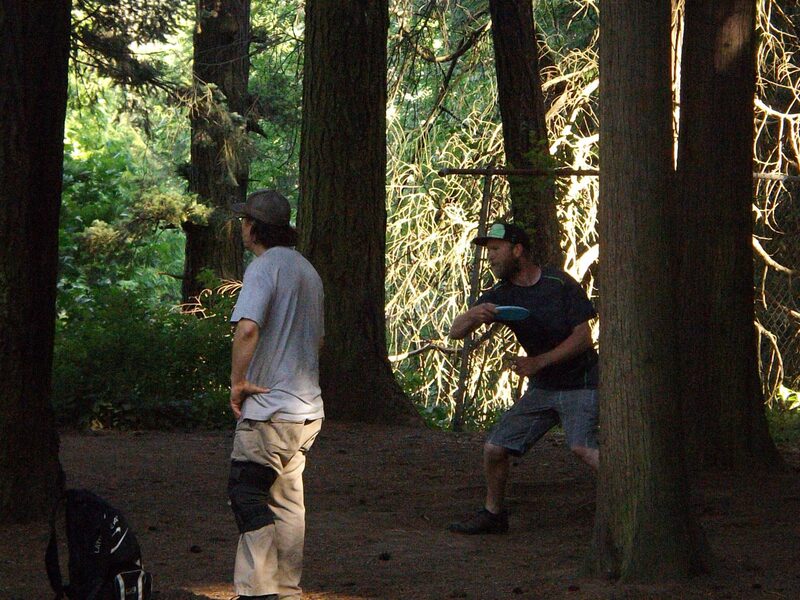 One great opportunity to do both – and do it with little upfront cost to get started – is disc golfing. 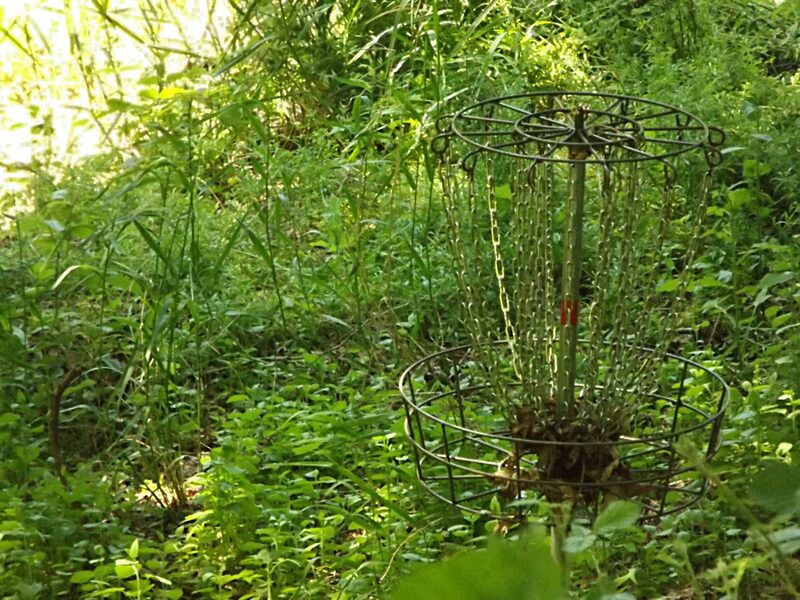 Maybe you’ve heard of it as frisbee golf, but serious players would never call their avocation anything but disc golf, and it’s gaining in popularity in Clark County. 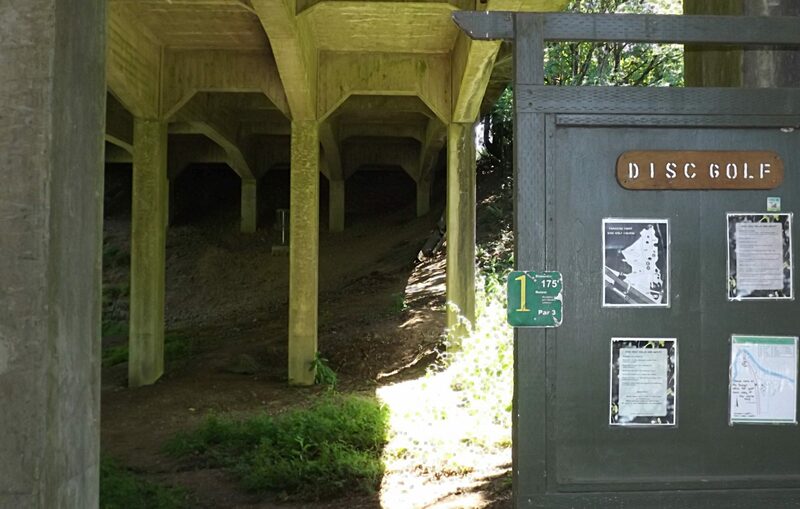 The unique view of the first hole at Paradise Point State Park’s disc golf course features having to throw your disc underneath the I-5 Lewis River bridge. 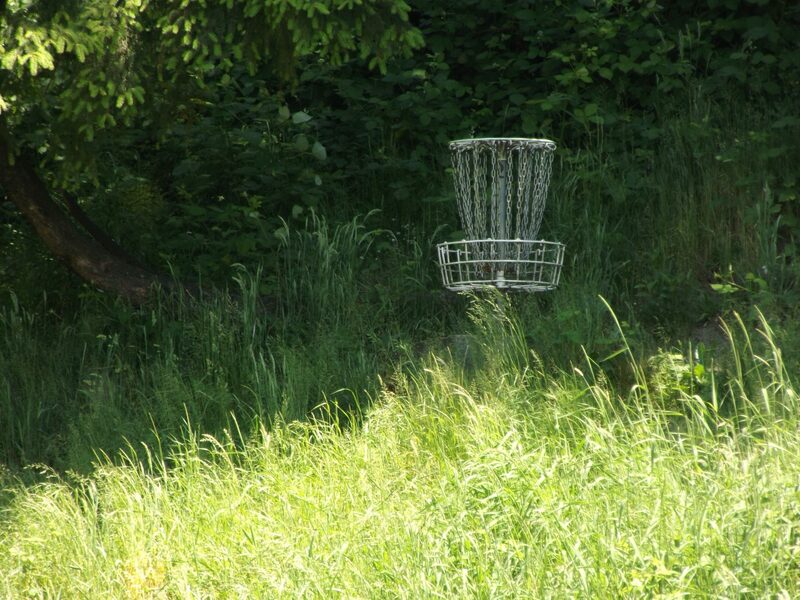 Since the first two courses opened in the county 12 years ago, the sport has boomed. 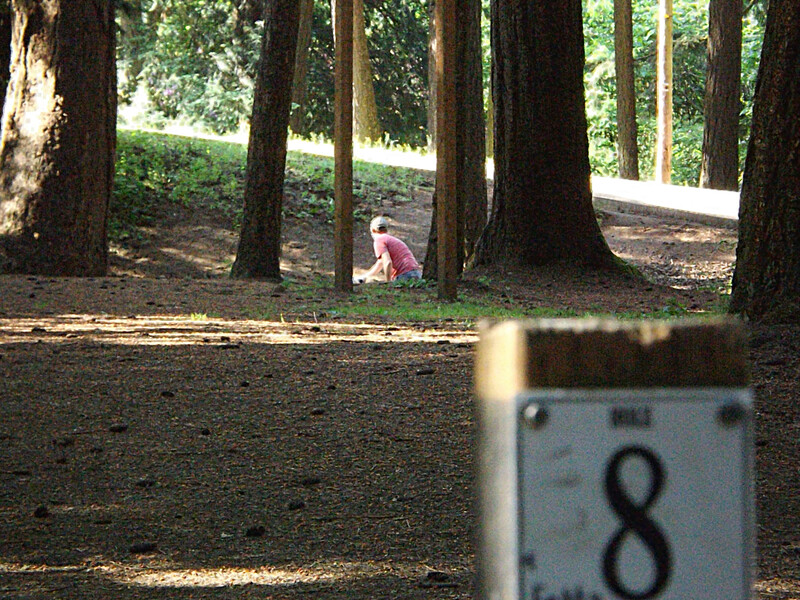 The City of Vancouver opened a 12-hole course (the ninth hole has two versions that both can be played during the same round) at Leverich Park in 2008, and in April 2015 placed an infrared sensor on the fairway of the seventh hole to gauge how many golfers played the course. The city supplemented the data picked up by the sensor with a hand count, and it found that nearly 37,000 people use the Leverich Park course on an annual basis. 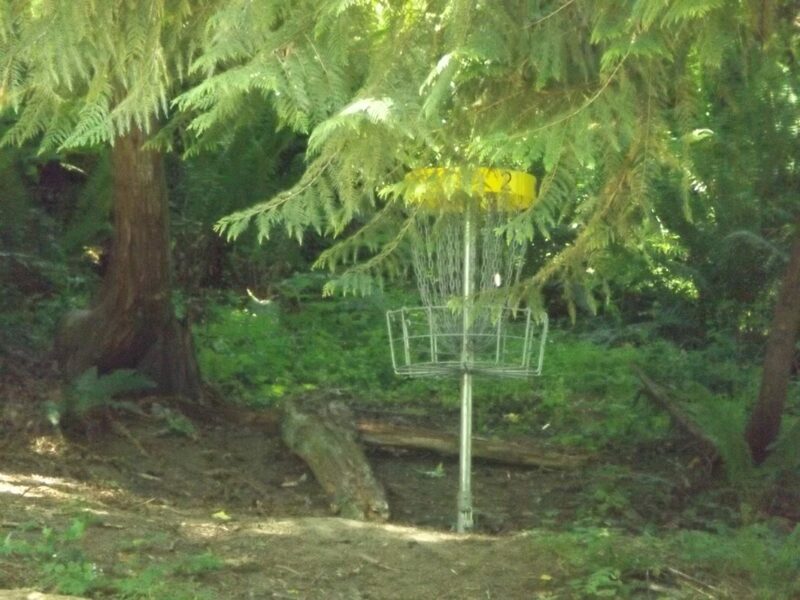 With six active courses in the region, a seventh (Pekin’s Ferry) having fallen into a state of disrepair, and another two in various stages of planning at Frenchman’s Bar Regional Park and Hockinson Meadows Community Park, disc golfers of all experience levels have plenty of choices of where to play. 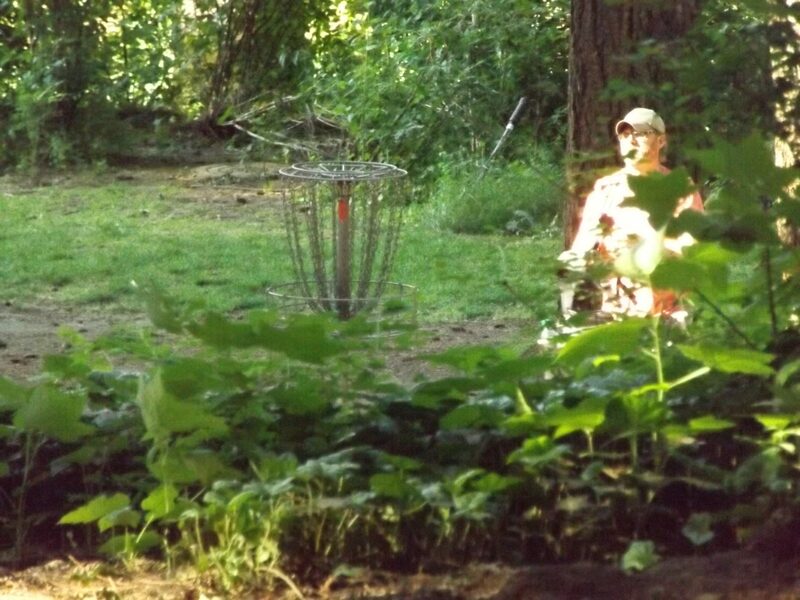 What’s great about disc golf is that in less than 90 minutes, you can finish off your round and either head to another course or get on with the rest of your day. 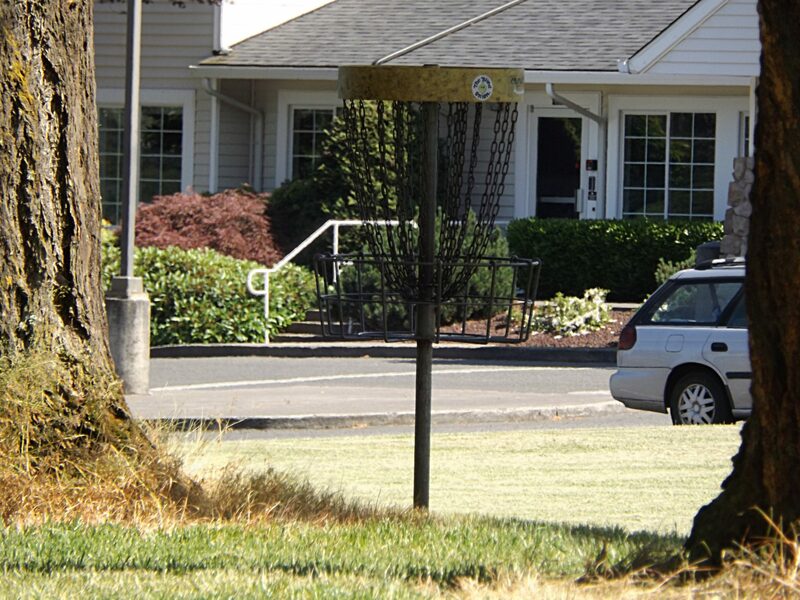 Want to plan a day of disc golfing throughout Clark County? Here’s a guide of the courses throughout the area. 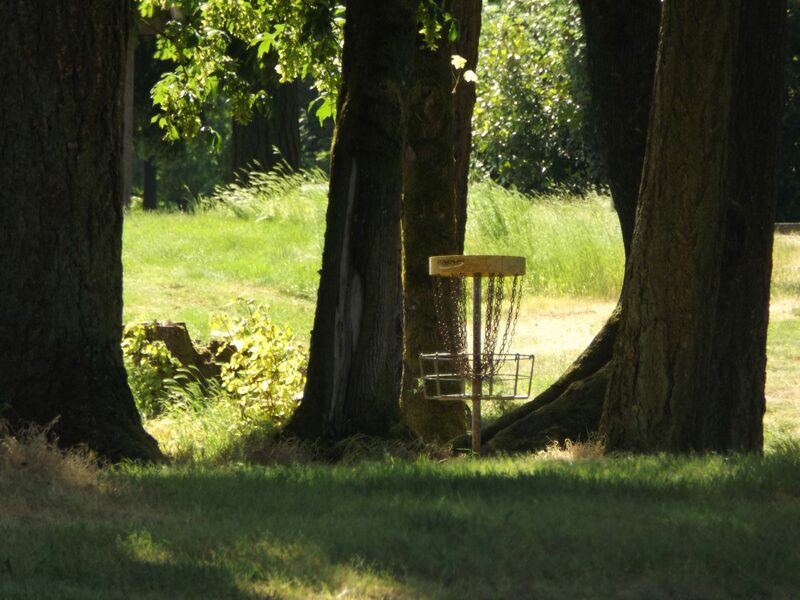 Just minutes from downtown and just off Interstate 5, the Leverich Park course is the most popular in the region by a long shot. 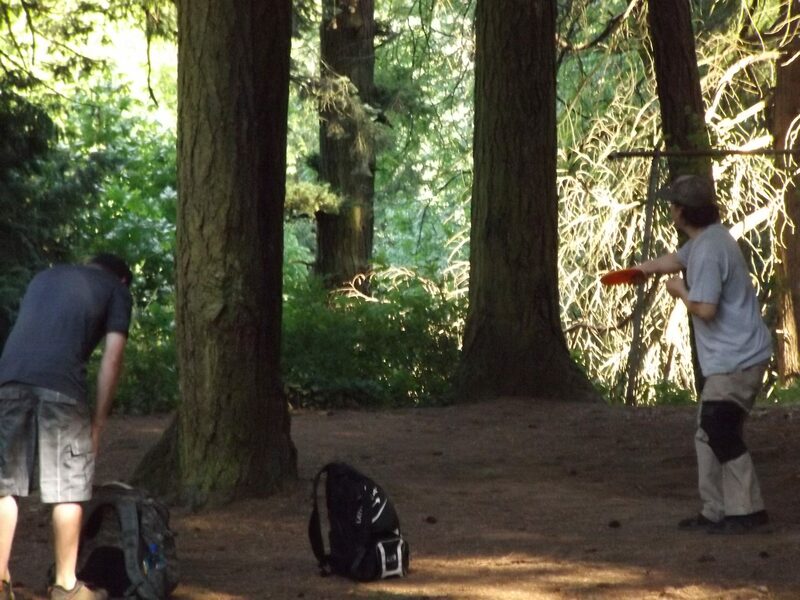 The course was the brainchild of Stumptown Disc Golf and Vancouver/Clark Disc Golf, with volunteers from both groups helping to build the course over a two-day period in late 2008. 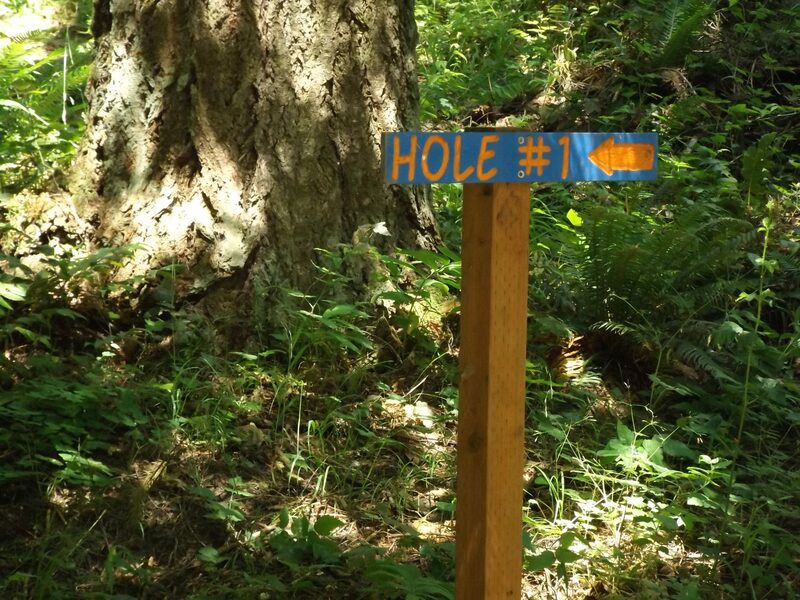 The course design takes both beginners and advanced golfers into account, with many short holes featuring trees, elevation changes and other hazards to provide a challenge. 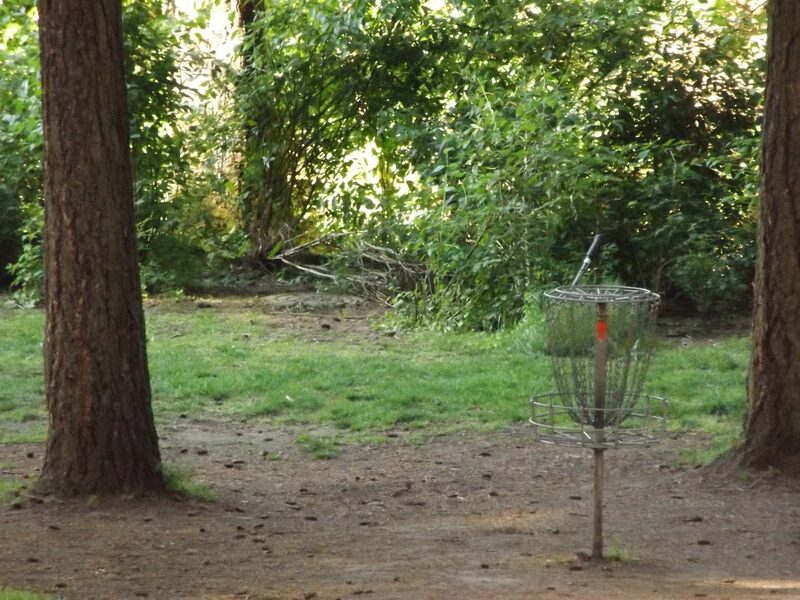 The Glenwood course predates Leverich Park by two years. 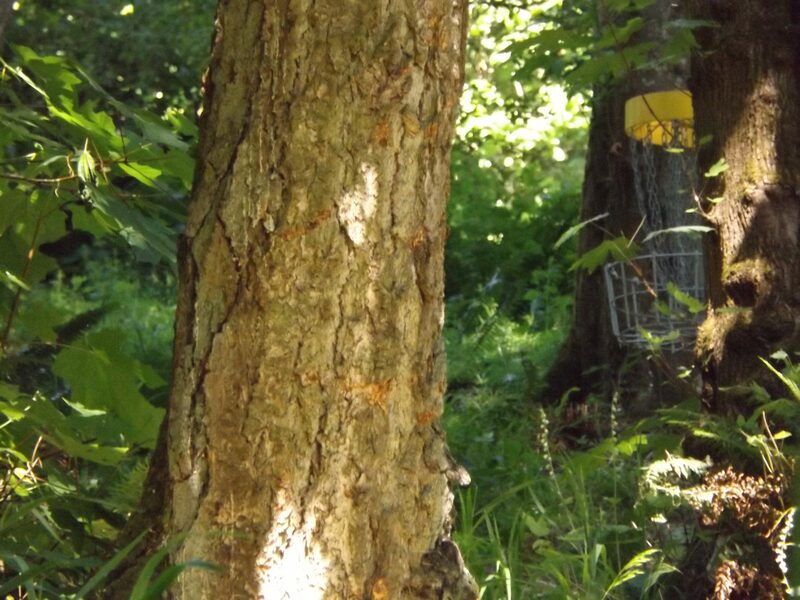 Located on the north end of the property, it is perfect for new players in that it is short, compact, and easy to play with just one disc. 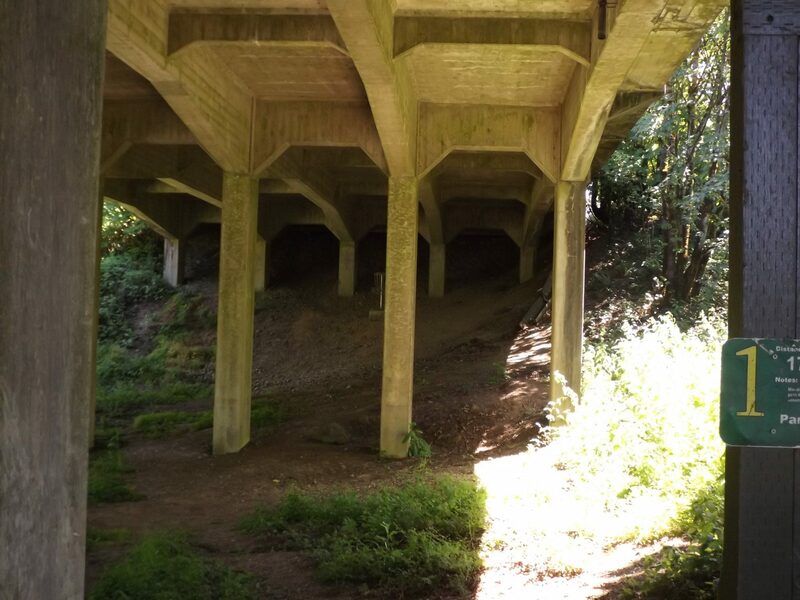 Half the holes cut through a wooded picnic area, while the rest are in an open field. The course is open to the public, although the church may close the course if it has an event planned for the day (check out its Twitter or Facebook pages for closure announcements). 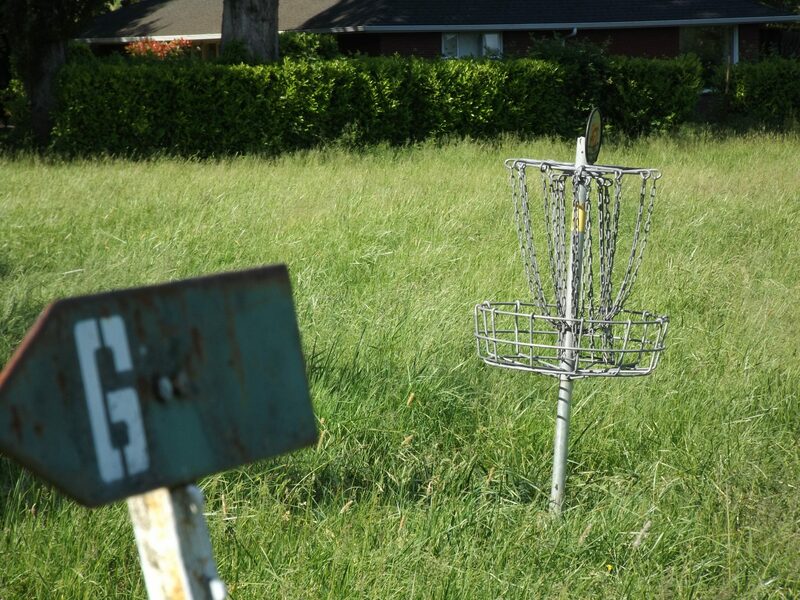 Nestled in the southeast corner of the campus, walk down the hill east of the Undergraduate Building and you’ll find this simple nine-hole course that is open to the public (you’ll have to pay to park in one of the metered campus lots). 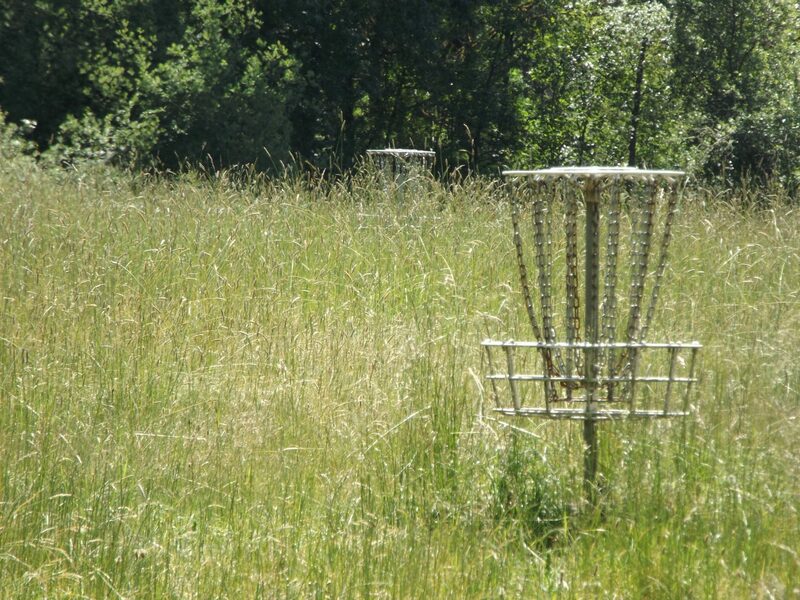 Most holes are located in an open field, so be ready to tramp through high grass and weeds as you traverse the course. 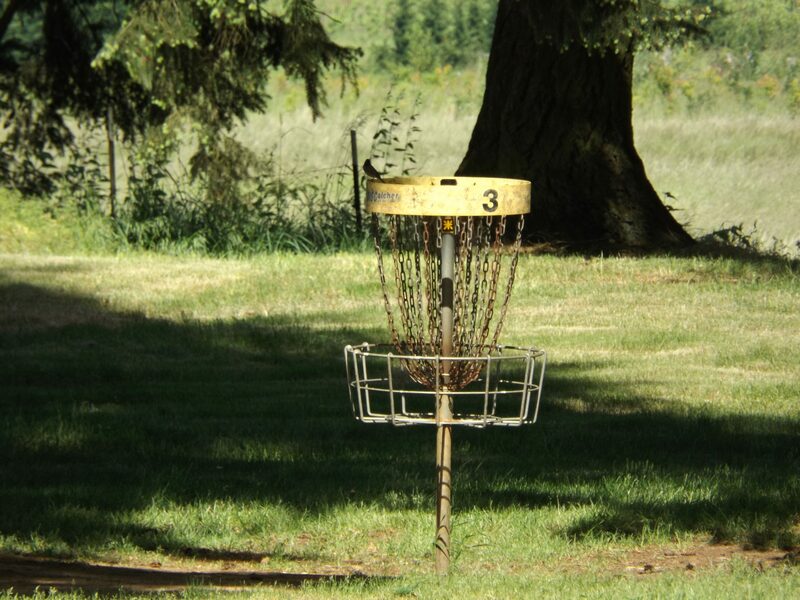 Disc sets, scorecards and course maps are available at the Recreation office – you’ll want one to make sure you throw to the correct basket. The latest addition to the Clark County disc course scene, the Abrams Park course is the opposite of Glenwood and WSU. 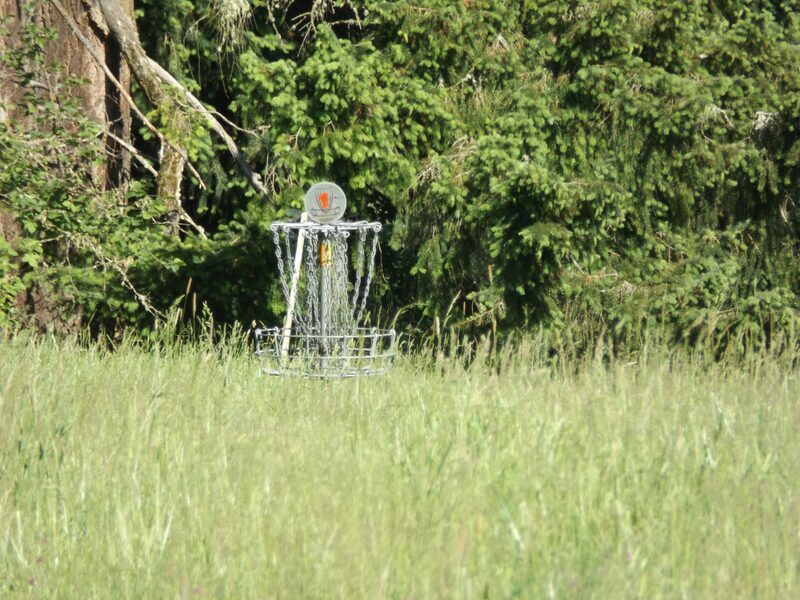 No open fields here – the Abrams Park course is completely within the woods at the north end of the course behind the Little League baseball and softball fields. 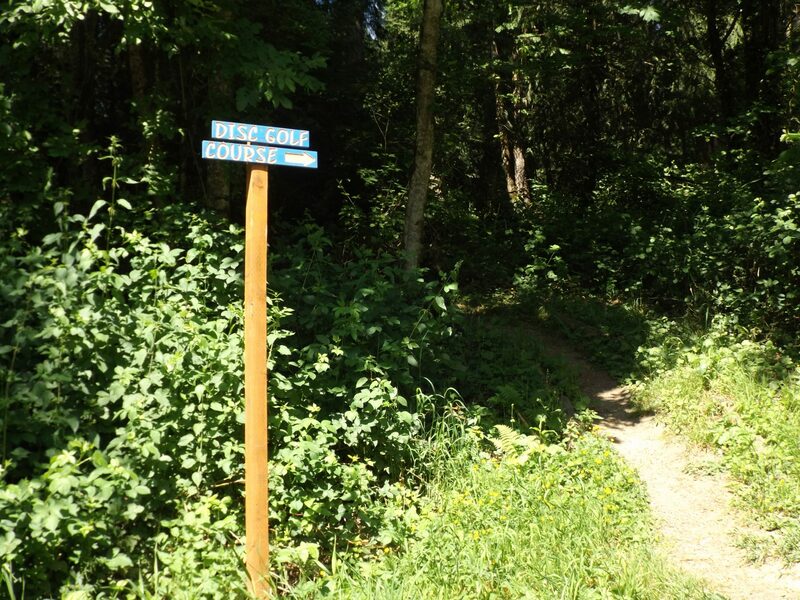 If you’re wanting to get a workout in while playing a round, this is the course for you – it’s quite hilly and wooded, with narrow fairways criss-crossing walking trails. Check out the “island shot” on the fourth hole. Unfortunately, the course has fallen on hard times. It has not been maintained for quite some time, allowing grasses and bushes to overrun the landscape. 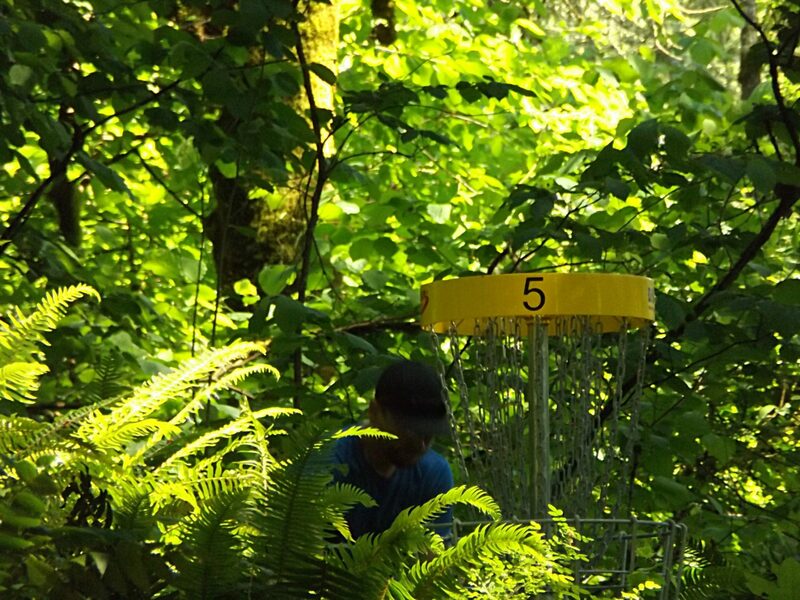 Most of the baskets and tee boxes are still up and running, so with some tender loving care – perhaps some volunteers willing to trek to the Lewis River location – the course could be brought back to life. 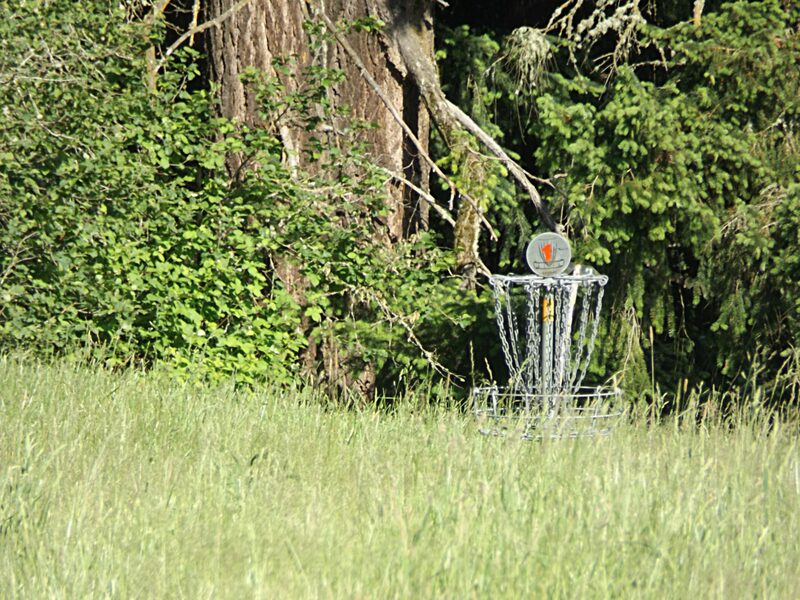 Tucked into the north end of the park along the Lewis River – the first hole is completely underneath the Interstate 5 bridge – the Paradise Point course has not been maintained during the park’s offseason, so get ready to look for your discs in high grass on a number of holes. You’ll definitely want to grab a course map from the ranger office (as well as purchase your Discover Pass for the day) or snap a photo from the bulletin board next to the first tee. 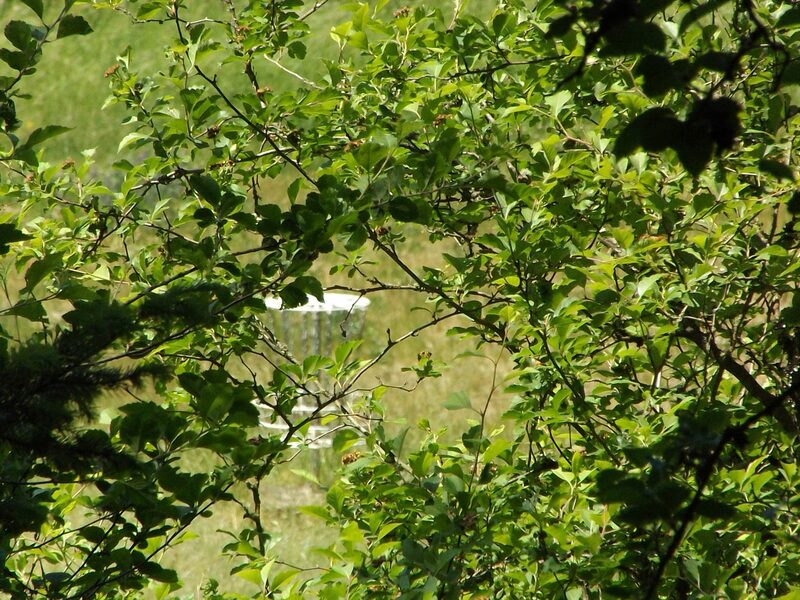 The tee shot on No. 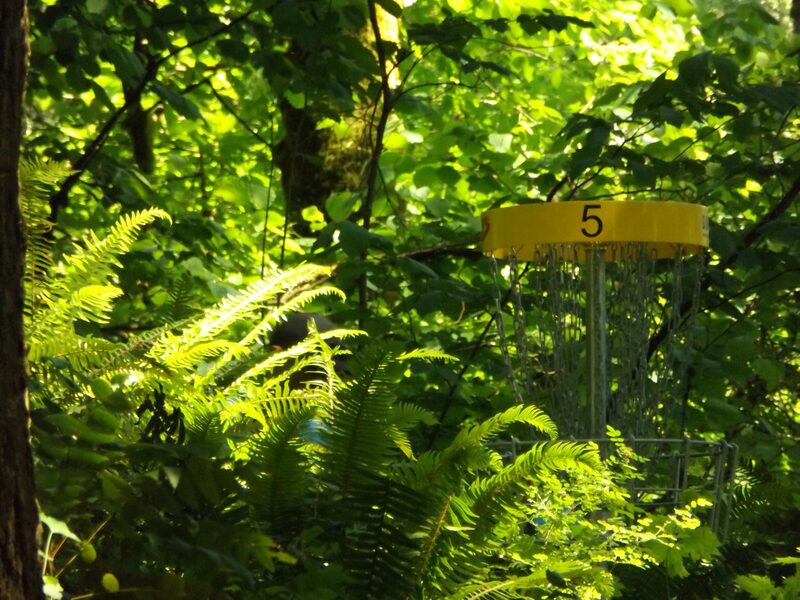 3 requires a tight fit through the canopy out into an open field on this dogleg left. 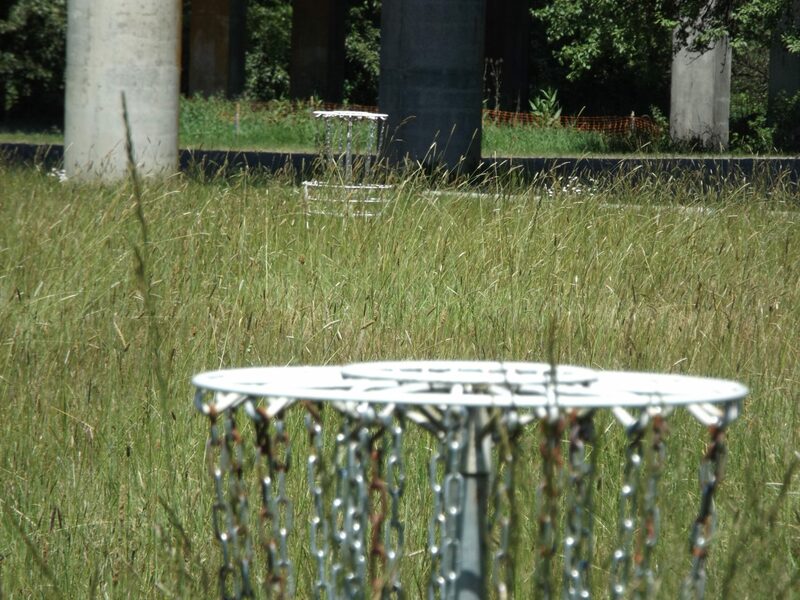 Our last stop on our county disc golf course tour is a simple eight-hole layout on the city park grounds. Be sure to make to the course during park hours (8 a.m.-5 p.m.), or you’re out of luck after making the picturesque drive out to Yacolt. This is another course that is made primarily for beginners, with mostly flat terrain and few trees. 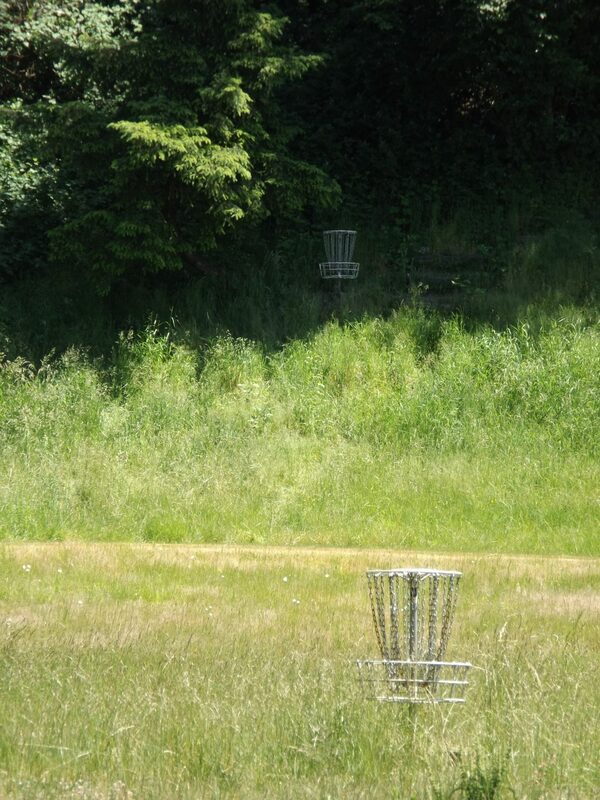 One positive – the course is well-marked, thanks to brand-new tee pads, signs and baskets. The second hole requires a throw across the BMX bike track.